My pal David (@rev_david) asked “Sometimes you have to clean up your feed. 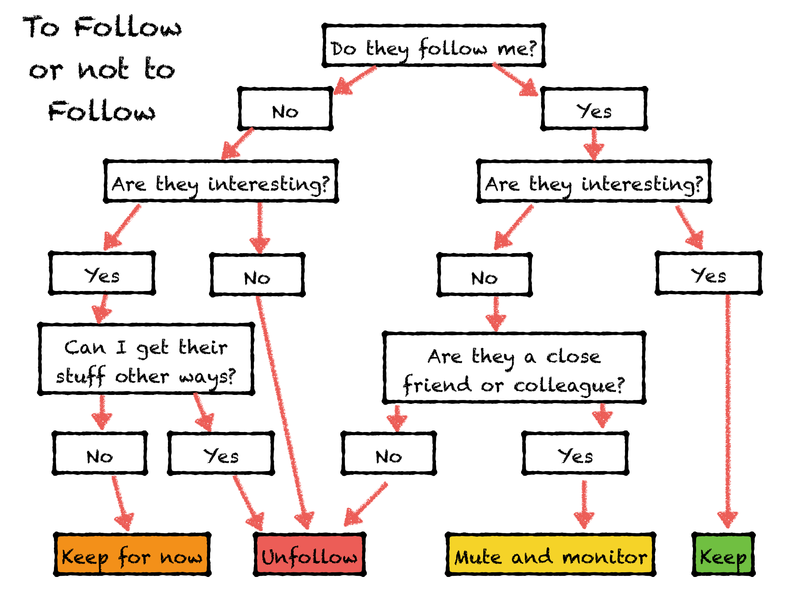 What criteria do you use when unfollowing people? #chsocm #hcsm”. Here’s what works for me.